An old base from Firmenich. It was created in the 30’s, although it was possible to compose such accords back in the first decade of the 20th Century —heliotropine was first synthetised in 1869, ionones in the 1890’s, methyl heptine/octine carbonate in 1900. This is the very classical accord of violet, not quite reminiscent of the flower though. An elegant, powerful and longlasting violet, reminiscent of violet leaf absolute (that was possibly meant to replace). I like to think that this very base shaped consumers for almost a century. This base is the archetype of perfumers’ violet —in fine fragrances and functional products as well. True-to-nature accords are easy to make —using p-cresyl derivatives, indol and ionones as a foundation— but unpleasant to the general customer. Green, sweet, powdery, slighlty jasmine-like. You can have a beautiful example of such violet in Paris (Yves Saint Laurent), where I definitely smell this very accord (I cannot prove that Parmantheme was used though). In Parmantheme I smell nonadienal and/or nonadienol as a powerful topnote: a green, cucumber-like, wet, oily note. This perception seems to be confirmed by S. Arctander in his monography on Nonadienal. The base is founded on the main accord: methyl heptine/octine carbonate – ionones (an heavy dose!) – heliotropine – powdery musks. Some additional notes might be jasmin or rose. A simple and beautiful composition that glorifies the green, violet leaf-like, extremely powerful methyl heptine/octine carbonate, quite difficult to use alone (and nearly banned by today’s IFRA standards). I think that today Parmantheme features some methyl heptine/octine carbonate replacer. Natural identical (found in muskrat). Not to be confused with Exaltenone or Exaltolide. Warm, diffusive musky, extremely fine, faceted, powdery, animal, greasy, natural musk-like odour. Quite similar in odour to muscone, but more powerful and animal. Nitromusks are sometimes defined as “animal”. While I quite agree on the fact that they possess a musk deer facet (they are warm and powdery, but also radiant, with some musky floralness) they don’t possess a truely dirty, greasy character. Exaltone strikes with its greasy, warm animal musky odour. @10% it is less dirty, more nuanced, somewhat metallic and much more similar to his brother muscone, or to exaltolide. @1% finer. Best dilution. Every facet blooms and one can fully appreciate its elegant details: quite powdery, sort of ‘metallic’ (in a way that it recalls me of exaltolide), but still quite greasy and softly animal. It is quite pricey, but is worth its weight in gold. I definitely love this molecule. And actually it costs about 3 times more than muscone (about the price of a jasmine absolute). This is the most astounding musk odourant I’ve ever smelled. 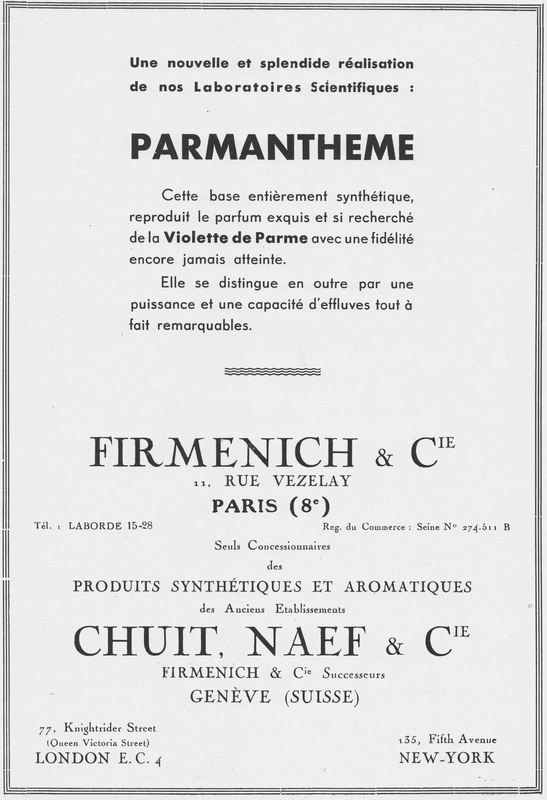 It was first synthesized in the 20’s (1926 patent, Chuit & Naef, Firmenich today) by L. Ruzicka, in an attempt to find a good substitute for natural musk. Exaltone is chemically very close to muscone; it only has one methyl function less. L’effet produit par l’exaltone dans une composition est le même que celui provoqué par le musc : son odeur s’allie merveilleusement à celle des autres produits de la composition et, contrairement à ce qui se produit avec l’emploi du “musc artificiel”, le résultat forme un ensemble des plus harmonieux; c’est justement en raison de sa propriété heureuse non seulement d’affiner, mais également et surtout d’exalter le parfum des compositions, que nous lui avons donné le nom d’exaltone. Exaltone is capable of ‘exalting’ a composition and this property seemed to make this product a valuable candidate for replacing natural musk. Reading this booklet one could get the feeling that natural musk extracts were not much prized for their “animal” odour, they would also have introduced unwanted, ammoniacal, rotting notes. The interest was in the smoothing, exalting effect coming from their musky odourants (such as muscone or civettone). A feeling that I also get when working with civet. However I am convinced that animal, greasy, dirty notes are sometimes really wanted and synthetical musks wouldn’t suffice alone (I am thinking about cuir, leather fragrances, or old chypres). Muscone and Exaltone seem at first quite different products, olfactively. The odour of muscone when pure is almost difficult to perceive (as many other musks). Exaltone, on the other hand, is a solid at room temperature and its odour when smelled pure is strongly musky, animal and greasy and quite powerful. However, upon dilution the differences are smoothed down. They are quite similar, indeed. Muscone is rounder and, obviously, more true-to-nature. Exaltone, very similar to muscone, powdery, musky, rather sweet, has darker tones, a greasy accent and nice projection. Interesting enough, Exaltone was eventually found in nature in the muskrat glands. Not to be confused with: heliotropyl acetate. Easily soluble in ethyl alcohol @10%. Mild smelling, sweet, fruity, long-lasting raspberry-like odour. I was expecting some resemblance with heliotropine (sweet, powdery floralcy), but this one has a quite different odour profile. It has very much in common with raspberry ketone: it possesses a jammy, red fruit-like character. Somewhat dry and woody, not much powdery. Rose ketone nuance. It shuold be interesting in jasmine imitation bases. 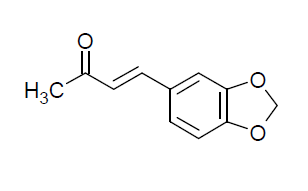 As suggested by S. Arctander for raspberry ketone, I think that Dulcinyl would also fit very well in a synthetic jasmine composition, bringing a realistic and elegant fruity juiciness very characteristic of some absolutes. In his work he reports some resemblance with “the sweet-floral notes in Mimosa and Cassie“. Interesting to note that this product is called “Cassione” by Firmenich.